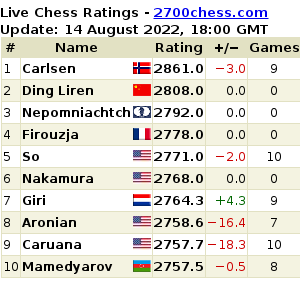 Karpov Beats Timman in Groningen and this is news. As all the chess lovers knew that there was a friendly match going on between the veteran chess players Anatoly Karpov and Jan Timman in Groningen. Anatoly Karpov won the game defeating Jan Timman 2.5-1.5. Timman was playing the last game with a broken hand which he came to know after the match. The first two games played by them ended in draws and there were no eventful moments. The last two games were better and there were more excitements as compared to the first two games. The third game was played on Saturday and both the players made use of the Berlin Ending which is one of the topical openings used by the current chess players. There were many other exciting moments in the game that made the game interesting. Though Timman had a great excuse for his last game, he chose it otherwise. The night before this game, he fell and broke his hands (though he did not think the fall to be that serious) and suffered a lot of pain. He went to see the doctor after the game where the fracture was diagnosed. He gave an interview after coming back from the doctor with a sling supporting his broken hand and said that he would not miss the coming tournaments for this fracture as he did eight years ago. Both Anatoly Karpov and Jan Timman are 62 years old. The match was being played at the Groningen museum. They played after 20 years and in that historic match Karpov beat Timman 12.5-8.5. During November and December 1993, the matches between Karpov and Timman were played in Amsterdam, Arnhem, Zwolle and Jakarta. The entire chess world was eagerly waiting for this friendly tournament between the former grand masters since they were playing after so many years. Karpov won in the end disappointing Timman fans.